National park bosses have welcomed the successful prosecution of a driver caught off-roading in Dartmoor. The 4×4 driver Maverick Smith pleaded guilty to charges under the Road Traffic Act and criminal damage. The 23-year-old was fined £200, ordered to pay £550 costs and a surcharge of £30. Dartmoor National Park Authority said it was ‘delighted’ with the outcome of the case, which followed the incident in October last year when Smith was seen driving his vehicle on access land near Nuns Cross Farm, near Princetown. An authority spokesperson said: “Rangers have seen an increasing amount of this type of illegal, disrupting and damaging activity, both with 4×4 vehicles and scrambler bikes over the past few years and the damage it causes to the moor and the landscape. “The incident took place on Sunday 1 October and was spotted by one of our rangers while out on regular patrol. The ranger observed the vehicle damaging moorland near Nuns Cross farm and told the driver who he was, why he had stopped him and that he was recording the registration number. 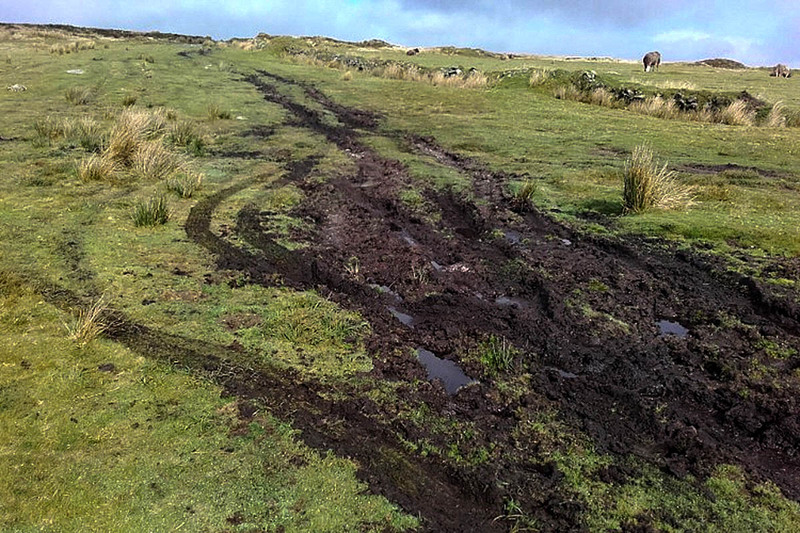 Robert Steemson, community and land management ranger for Dartmoor National Park Authority said: “I am pleased with the outcome of this case and hope that other illegal off-road drivers on either four or two wheels keep off Dartmoor and understand that if they are caught we will prosecute. OK, well done, but I suggest a note is made of the next gaggle/smugness of ramblers that trudge across the same, or similar area of pathways, and create a very similar scene to the one shown, are held to account for similar damage, or are they all as light as marshmallows ???? Certainly not the smug fat cows I see out walking that area, backsides like O'Riley's bull. The Dartmoor Tourist site mention trackways everyone can use, including cars though my recentish OS map doesn't indicate any.